Brad Parks won both the Shamus and Nero Awards for his debut novel, Faces of the Gone, a first time achievement for an author. His second Carter Ross mystery, Eyes of the Innocent, is due out tomorrow. I know Brad is funny because I follow his posts on Twitter. So, when I asked Brad to do a guest blog, I suggested he write something funny that readers would enjoy. Instead, he wrote something that touched my heart, and made me cry. 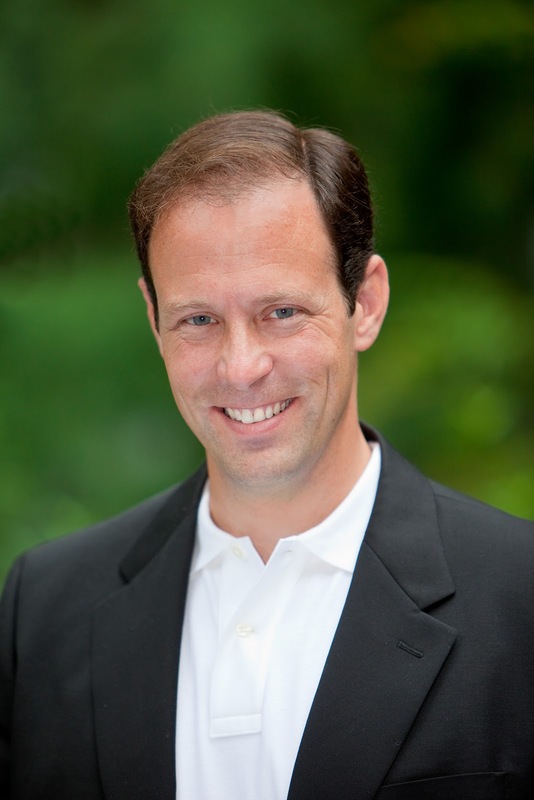 Thank you, Brad, for an untraditional guest blog. Exactly twenty-six years and five months ago, at the end of a hot and dusty Connecticut summer, in a time of desperation the likes of which I can now barely describe, I committed a heinous crime. I stole from a public library. Let me explain. I was 10 years old. I had a bad case of swimmer’s ear, which meant I couldn’t go in the neighborhood pool. For the first time in my life, all I could do is read. And the book that ignited my imagination was “Gentle Ben,” Walt Morey’s classic story about a boy and his pet grizzly bear. According to the fading stamp on the title page, I checked it out of the Ridgefield (Conn.) Public Library on Aug. 9, 1984. It was due back 21 days later. As such, on Aug. 31, 1984, I became a criminal. And I have been one every day since, because I still have the book, dog-eared, water-stained and sun-faded from the dozens of readings to which I ultimately subjected it. I think of “Gentle Ben” often these days, every time I read about another library having to slash its budget, eliminate staff or close down branches. It makes me wonder if some kid out there is going to lose a chance to find his own “Gentle Ben,” a book that fuels a lifelong love of written words. There’s no question this is a discouraging time for libraries, those who value them and those who work in them. Across the country, library budgets are being assaulted, and not just with the kind of single-digit cuts that can be swallowed by bumping down the thermostat a few degrees. These are major, double-digit hacks. I got an e-mail last month from a dear librarian friend of mine talking about just how devastating it’s been. She’s the director of a large library system in New Jersey and she catalogued her list of woes – having to fire dozens of employees, putting her entire staff on rotating furlough, closing down branches. But the really heartbreaking part of the e-mail was when she talked about her fear of what might come next, how paralyzing the uncertainty was, and how she felt like it was interfering with how well she could do her job. And, believe me, I understand how that feels. I know what it’s like to see good friends and valued colleagues walk out the door because no one wants to pay their salaries anymore; to live with the anxiety of knowing the worst might not be over; to feel like you are failing a public that put its trust in you to deliver something so vital to Democracy. I know, because I used to be a newspaper reporter. The financial difficulty libraries are going through now is sort of like what newspapers began experiencing in about 2001. Or maybe it was 2004. It was a storm that eventually claimed me as a victim – I took a buyout in 2008 to pursue a career as a novelist – but not before I spent several long years working in an industry immersed in a total financial apocalypse. And, yeah, I let it get to me. It got to everyone at times. Newsroom morale was in the tank. We walked around like zombies half the time. We consumed endless energy speculating when the next staff cut or pay cut was coming. It was depressing and debilitating. So it’s hard to watch the public library, this institution I value so much, go through its own bloodletting. I’m not here to opine about how wrong it is from a policy standpoint (though, unquestionably, it is). I’m not here to debate the wisdom of savings pennies at the library when there are still twenties and fifties to be saved elsewhere (though, really, libraries are such a slim portion of municipal spending, can’t you balance your budget somewhere else?). I’m not even here to point out that the library is the one public amenity that serves absolutely everyone in a community (though it does). We need you. Now more than ever. Many of our most cherished American ideals – like the concept that a poor, mixed-race kid could grow up to be President – are predicated on the notion that knowledge is available to all, not just those wealthy and privileged enough to afford Kindles and trips to Barnes & Noble. And, yeah, it’s easy to get dragged down in the gloom. But if I learned one thing from watching a newspaper melt down around me, it’s that you can also make the choice not to get derailed by it. You can realize you’re still fortunate enough to do a fulfilling job, a profession that you (and a whole lot of other people) really value, whether they remember to stop and take the time to say it or not. For me, I worked hard to find satisfaction in putting a well-written story in the newspaper, something that touched people, exposed a wrong, or made the world better in some small way. Those kinds of victories are always out there to be found. You just have to remember to look for them and hold onto them. Think back to why you became a librarian. Was it because the duly elected knuckleheads on the town council would show the wisdom to keep your funding at an appropriate level? Was it because of some action in the state legislature? Of course not. It’s because you love books and connecting readers to the wisdom and wonder that lies inside of them. It’s because somewhere out there, there’s a kid looking for his own “Gentle Ben.” Please help him find it. Just make sure he returns it. Brad Parks’s debut, FACES OF THE GONE, became the first book ever to win the Nero Award and Shamus Award, two of crime fiction’s most prestigious prizes. 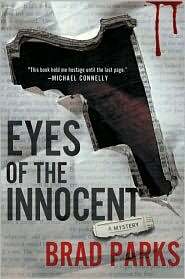 His next book, EYES OF THE INNOCENT, releases tomorrow from St. Martin’s Press/Minotaur Books. Library Journal gave it a starred review, calling it “as good if not better (than) his acclaimed debut.” For more Brad, visit his website (http://www.bradparksbooks.com/), follow him on Twitter (http://www.twitter.com/brad_parks) or became a fan of Brad Parks Books on Facebook (http://www.facebook.com/#/pages/Brad-Parks-Books/137190195628?ref=ts). And, thank you, Brad, for reminding me, in what is a hard time for librarians, why I originally went into the profession, for boys who loved Gentle Ben, and for boys like my husband, who loved a book so much, he hid it under his bed so he didn't have to return it to the library, and, to the day he died, was proud of reading the most books one summer at his library's summer reading club. Libraries, and librarians, do make a difference in people's lives. Eyes of the Innocent by Brad Parks. St. Martin's Minotaur, ©2011. ISBN 9780312574789 (hardcover), 304p. Thanks for the encouragement you're giving to librarians, Brad! My local library has had to close one extra day a week and the hours are shortened each day. The librarians still have a smile on their face, but look absolutely exhausted. I hope that the folks making the budgets for counties and towns can reassess cuts--libraries are too vital to cut out. What a wonderful tribute to libraries. My newest favorite quote: "We need you. Now more than ever. Many of our most cherished American ideals – like the concept that a poor, mixed-race kid could grow up to be President – are predicated on the notion that knowledge is available to all, not just those wealthy and privileged enough to afford Kindles and trips to Barnes & Noble." Thank you from a public high school librarian! What a beautiful post. You made my day! It makes me proud to work in a library and reminds me of those special librarians in my own life. Thank you, Elizabeth. I hope people remember to speak up on behalf of their libraries when it comes budget time. Thank you, Ms. Stratton. Isn't that a beautiful comment? Brad has a way with words. Thanks, Carol. I hope that post kicks the week off right for a number of librarians. Thank you both for a great post. What is happening to newspapers and libraries is a national disgrace. And very much looking forward to the new book as soon as my local library system gets it in. I agree, Kevin. I don't know where we have our priorities, letting go of our libraries and newspapers. It's a terrific book. And, I think a number of librarians will be watching for it after reading this post. We're grateful for those who appreciate libraries. I would love to see this post by Mr. Parks be read by people on Facebook, Twitter, etc. Hopefully someone could do that or Mr. Parks could. These sites have large audiences and might get a few people to write their local government about the importance of local libraries. Thanks, Betsy. I've put it on Twitter, and a few people retweeted it there. My Twitter and my blog also link to my Facebook Account, so it is shown on my account both places. Feel free to link from my blog to any place you'd like. First of all, thanks to Lesa for giving me the blog space to say what was on my mind and in my heart. Ms. Stratton -- A public high school librarian. Wow, do you get combat pay for that? ;) Seriously, thanks for everything you do, and keep up the good work. Ckubala -- It's my pleasure. Stand tall. Kevin -- Hope you enjoy it! Betsy -- I'm tweeting it to my many tens of followers as we speak, and I've shared it with a few other librarian friends as well. Hopefully we'll get a few more eyeballs on it. Oh, what a fantastic post! I'm going to tweet about it (with a link) right now. Thank you, Lesa, for bringing Brad Parks to your blog today. And thank you, Brad, for such a personal and uplifting post. I knew you'd appreciate it, Beth. You have the same love of libraries that Brad does, and you know what's happening, so I knew you'd like it. Thank you for the Tweet. What an amazing post! Libraries and newspapers: Their loss is keenly felt. I grew up with both and have a long-standing love affair with the printed word. Unfortunately, I don't have any answers other than what has already been said here. Thank you for sharing this. Thank you, Bev. We appreciate your support. I'm afraid Brad and I are preaching to the choir, though. Even so, if the choir sings loud enough, someone may hear. I'm very worried for libraries. State economies are still struggling and the cuts are still coming. I also know what it's like to work in that environment. I was laid off my newspaper job earlier this year. It's hard to think that future generations of kids will grow up without newspapers or libraries! Then you know the worst of both worlds. You're right about the state economies, and government is always about 2 years behind in recovery. If the state economies continue to be bad, and predictions about Egypt's effect on the U.S. economy actually come true, we're really in trouble. I don't know what will happen if kids grow up without newspapers and libraries.